June is quite full of events, so let me present a few I'm involved in. 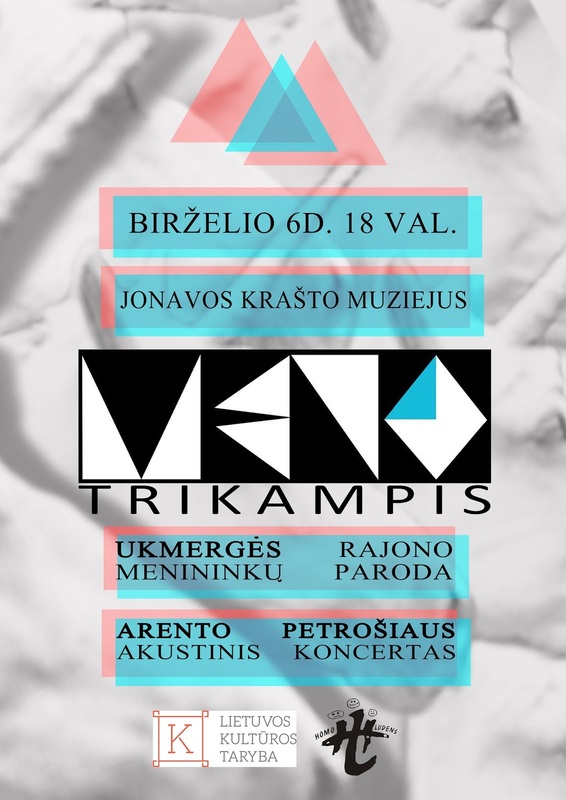 Last friday the first event of "Meno trikampis" ( eng. "Art triangle") project took part in the museum of Jonava town. This is the art collaboration project between three towns in central Lithuania: Jonava-Ukmergė-Kėdainiai. It mostly consists of events including exhibitions, concerts and so on. So, in the first event we had an exhibition of Ukmergė artists as well as acoustic concert of Arentas Petrošius from Jonava. More events are planned for the summer in all the mentioned towns. All the events done by cultural organization Homo Ludens, based in Jonava. On 20th-21st of June the famous event "Kultūros naktis" (eng. "Culture night") will take place in capital city Vilnius. Many events everywhere, really lots of interesting things to see. The experimental / improvised music concert of joint Kaliningrad - Lithuanian - Greek - Belgium (?) artists will take part in the basement of Contemporary Art Centre. Details are coming up, will put the link, when it's ready. Will be 7-8 artists, me included. Already preparing new performance based on radio music and noise. Another famous event - Sūpynės festival, kind of first summer open-air to go, this year will take part on 26-29th of June at the woods of Pakretuone, on the east of Lithuania. That's it for June. July gonna be no less exciting!